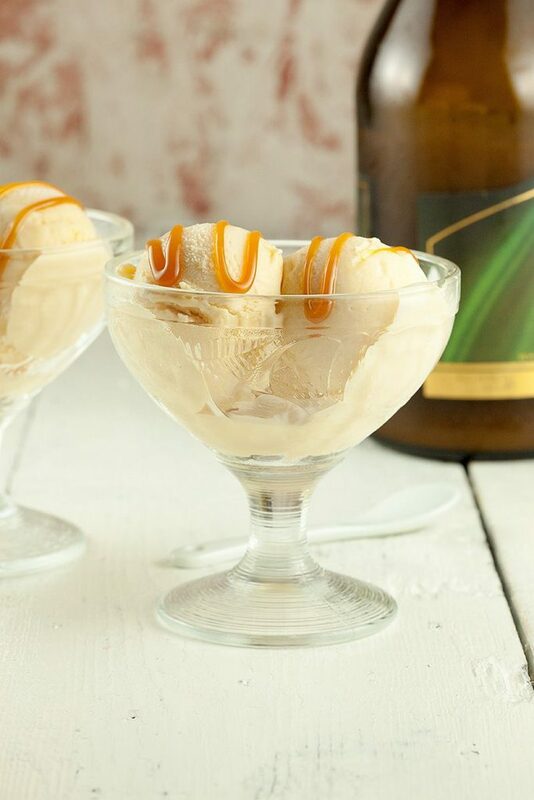 Smooth and creamy homemade Baileys ice cream. 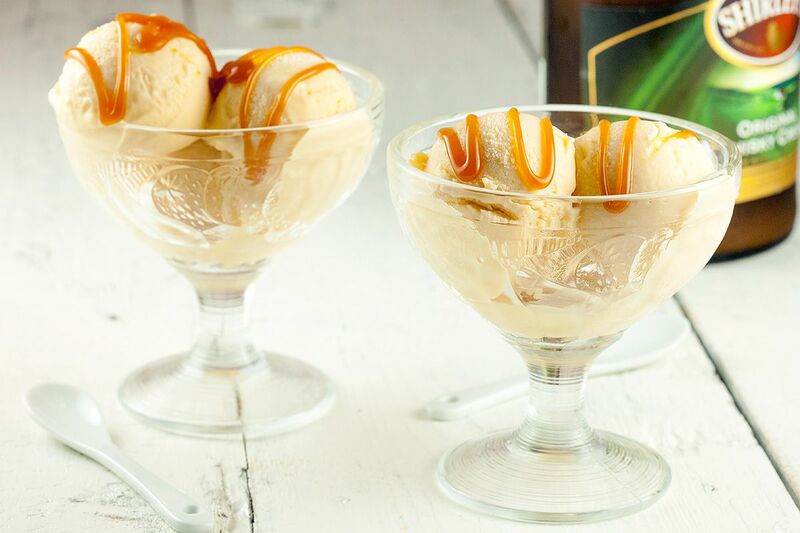 Literally melts on your tongue, goes great with a lovely caramel sauce. Simple delicious dessert! 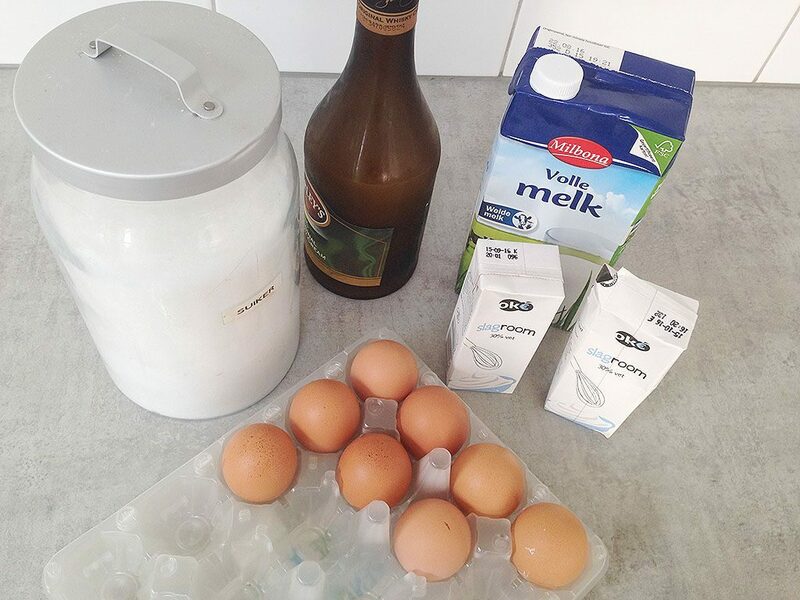 ADD egg yolks and sugar to the bowl of your standmixer and mix until they’re fluffy and whitish. POUR a little bit of the warm cream mixture into the fluffy egg yolks and whisk on medium speed until well combined. Then pour all of the liquid into the yolks and when they’re combined, POUR them back into the medium-sized pan. COOK on low heat until cooked enough. Keep on stirring carefully with a silicone spatula to prevent it from burning and creating lumps. The mixture is ready when it has thickened slightly. You can check it by running your finger over the spatula, if the line stays visible, the mixture is cooked enough. For a faster cooling of the mixture, you can transfer it to a bowl. COVER the mixture with a piece of parchment paper to prevent it from a thick layer, a sheet, on the surface. 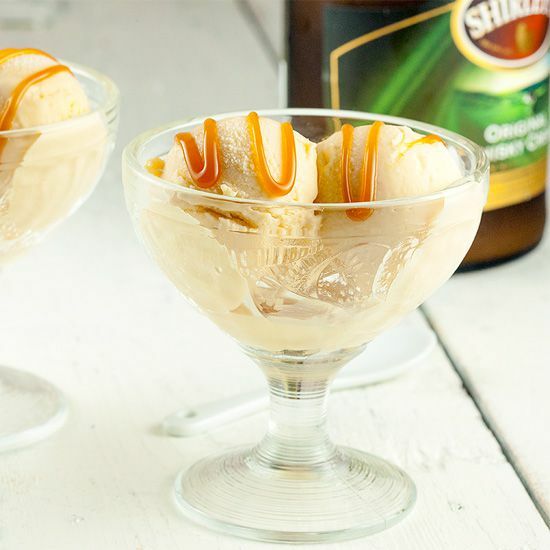 When the mixture has cooled off completely, you can pour it into your ice cream maker. The time until it’s frozen enough, depends on your machine. Our Baileys ice cream was frozen enough after 40 minutes. TRANSFER to an airtight container and place in the freezer for up to about 2 months! Enjoy!